To Beat a Child or Not to Beat a Child – That is the Question? I’m about as knowledgeable about child rearing as a member of ISIS is at flower arrangement, though I do have some experience at being a child (some might say I’m still stuck in that mode). Becoming a father was never high on my list of desired experiences. I assumed it would happen at some point due to some undisciplined activities I used to practice in my earlier days, the kind that tend to lead toward accidental, procreative success. I think I’m glad no such accident occurred, as I suspect, as a young father, I would have passed on what I had learned. How could I not, since that was all I knew? I’d be much better at it today, having evolved a bit from those days, except for the minor issue of having a desire to retire and do what I want and not be responsible for some child’s wellbeing or education or ability to function in a civilized manner – in other words, I have a few selfish tendencies that only grow stronger with age. The time to raise a child is when you have the energy and desire to do so (and hopefully have evolved enough to do so well). Those days are past for me. 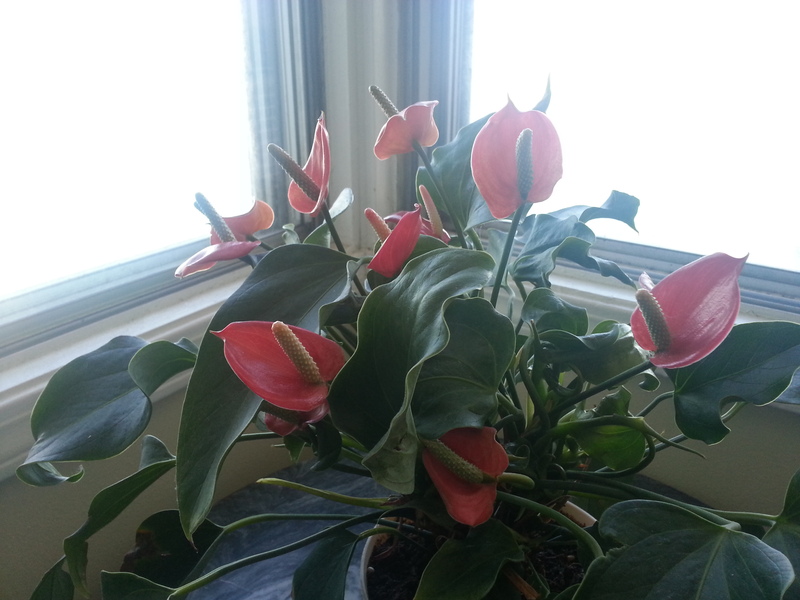 It’s challenging enough to provide my plants with their basic needs (though I am proud to report that my flamingo plant is currently spouting 12 flowers, and has been doing so for a few months now, proof, I believe, that I’m not an entirely lost cause). In reading about the abuse the football player Adrian Peterson applied to his son – and it was abuse – I’ve been amazed (appalled), by how many have defended his actions. I even read comments by someone who stated that the resulting welts from the whipping his son received were not really painful. I wonder if that commenter would volunteer to be whipped by another man to prove his point. Maybe he’d let his boss whip him with a switch if he found his work to be unsatisfactory. Why would it be okay for Adrian Peterson to whip his four year old son but considered an assault if he did it to an adult? Most studies have shown that the majority of adults who were beaten as children hand down this lovely tradition to their kids. I’m betting a high percentage of ISIS members experienced such a tradition as children. But I’m not a parent, so what the hell do I know? I know my father sometimes took a belt to me. A couple of those whippings got out of control. I barely remember what some of those beatings were for; I remember a nightmare I had when I was five that he was Frankenstein, mostly I remember his anger, I remember the disconnect I felt with him afterwards, I remember the decline of our relationship, I remember wanting to escape that environment, I remember my life going to hell as I rebelled against whatever it was he wanted. Our relationship was more complicated than that, but whipping seems like a poor choice for father-son bonding. I’d guess that having a relationship with your child, one based on respect and love instead of violence and fear, would have a better chance of lasting. I suspect that these “whoopins,” so many are fond of, have more to do with the parent’s ego – concerned about how their children’s actions reflect on them – than on any concern about their child’s development. I read comments by some who claim they were beaten and turned out fine, that’s just how things were in those days and it helped keep them from winding up in prison. But everyone is different. You never really know how your child will react. Some soldiers get PTSD while others for some reason do not – though I suspect they were still negatively affected by their experiences. I wouldn’t know, it’s hard for me to imagine there wouldn’t be some residual impact from having witnessed, or forced to take part in, such brutality (more than once I’ve had holistic practitioners suggest to me that the symptoms I developed as an adult were from PTSD, having lived under the constant threat of violence with a few beatings mixed in to keep me shaking about the possibility. I’ve never completely bought into that – it makes it sound much worse than it was, but the point is, who knows how severely an individual child will be impacted by such actions and hold onto them forever as a physical/psychological gift). Also, the majority of the human race has evolved over how things used to be, or at least strives for that (ISIS members and the like excluded). Some of us actually learn from the past and try to make things better. And finally, I can’t help but wonder if those who claim their childhood beatings helped them to become who they are today fully understand the effects of their childhoods. Few people understand their own issues – I didn’t before I received therapeutic help – and most of the commenters making these claims come off as defensive, even angry – often complaining about the nanny state. They have few if any positive thoughts to offer. They fail to impress or inspire. They just act tough, as many do who are still searching for the love they failed to receive when young. Maybe I’m a wimp, maybe I’m a member of this so-called nanny state, but give me soft (just not spoiled). I’ve had enough toughness for this lifetime. Toughness, it seems to me, just contributes to the harsh world we live in. It states: this is how things are, so this is how we must be. How’s that working out for us? Tags: Adrian Peterson, child abuse, Child development, Child rearing, Discipline, Parenting, writing. Bookmark the permalink. Excellent Jim. Makes me sad, but excellent. Thanks, but don’t be sad, I’ve moved beyond it; just can’t help writing about such things from time to time. I don’t know what happened to the little boy you describe here – I guess it’s something people talk about where you live. I agree with you – love and understanding is the only way. My mother was beaten and her siblings too – all they developed was fear. My mother’s elder brother beat his child too, my cousin, and I remember seing this and hiding under the bed. Nothing good comes from this. I’m glad you are over it. Thanks, Leya. Yes, it’s in the news a lot right now, as well as domestic violence, both getting a lot of attention because it’s happened to well known football players, people who often get special treatment if they’re good players – hopefully that is beginning to change. Another wise commentary. I am a parent and have been a child. The very worst part of corporal punishment (barring brutality), is the humiliation that sticks in a child’s mind forever. It’s a lack of respect and a betrayal. Great post. Thanks, Elena. Good point, the humiliation does stick. Very poignant argument against child abuse, and I agree with you completely. You write extremely well btw. Your article is articulated concisely and your point comes across with conviction. Thanks, Sagedoyle, I appreciate your comment.